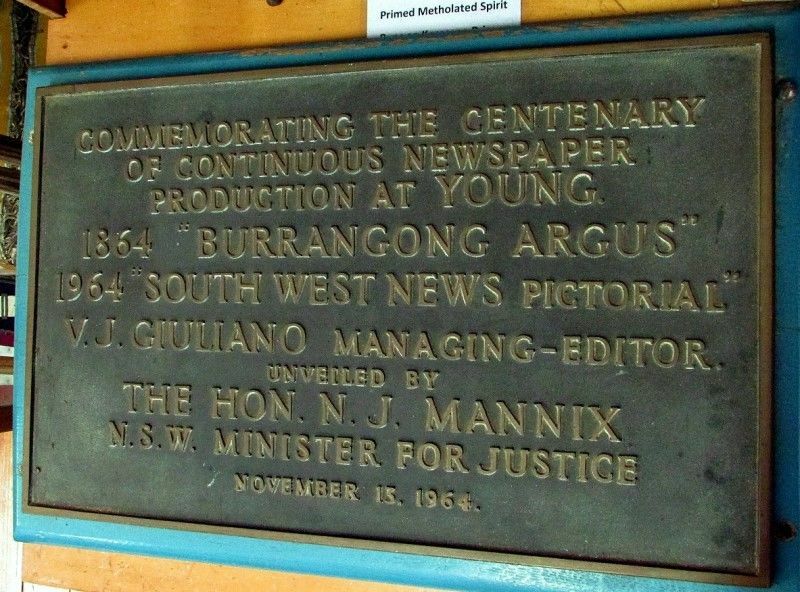 The brass plaque commemorates the centenary of continuous newspaper production in Young. Commemorating the centenary of continuous newspaper production at Young. 1964 "South West News Pictorial"